March 20, 2017 — More than 625,000 people are grappling with severe flooding in northern Peru, as heavy rain continues to fall. The flooding is the result of record downpours that have engorged rivers, triggered landslides and washed away people, crops and buildings. 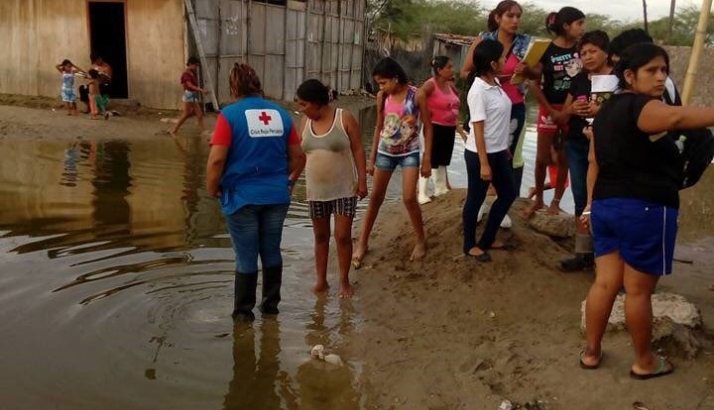 The Peruvian Red Cross has activated emergency teams in Santa Ana, Chiclayo, Chimbo, San Jacinto and Tambo—areas affected by the floods and mudslides. Red Cross volunteers are providing first aid, pre-hospital assistance and helping people connect with separated family members. Initial, rapid assessments from these teams indicate priority needs include shelter, water and sanitation, livelihood and food security support, and emergency healthcare with an emphasis on mosquito control and responding to water-borne diseases. Tens of thousands of people are homeless and more than 70 people have been killed in the worst flooding to hit the South American country in decades. American Red Cross team members based in Peru have been assisting with preliminary assessments and coordination efforts. Meanwhile the global Red Cross network is scaling up with resources on standby to support the Peruvian Red Cross.